Checklist Secure Cloud Computing is the continuation and conclusion of previously discussed topic on Privacy issues of Cloud Computing. We have already discussed three the points on Involved Instances, Data Categories and Spatial Determinability, Inspection and Audit Rights on the first article on Checklist Secure Cloud Computing and about Privacy, Technical and organizational measures, Transparency and Notification in the second article. We said that, the rest three are fully oriented to data and thereby this is the final article of this series “ checklist for secure cloud computing. In the past, the outsourcing of unencrypted data to the cloud meant that a company got insight into the content data of another company. That can not be acceptable. Often it takes is a false promise or non-compliance with authorization requirement, to see more than allowed. The separation of control is the most important prerequisite for safe working in the cloud. This point, unfortunately has been exploited by NSA and so called PRISM to the fullest – we can not buy the cables under the sea, so the best method is to use high level encryption while sending data. The cost of decryption is so high, that it can be taken at least to provide a kind of security. One must remember that – SFTP and FTP is never safe. Sensitive data must not be uploaded in this way. To create the conditions for an efficient separation control, the cloud service provider must have deletion routines that ensure that at different locations data are cleaned after use or after transfer like using copy and paste method; no residual data in this remain in place. For example, new users often encounters holiday photos of previous owners when storing their data in the cloud. In a pro-cloud setup it should not happen. Here, the user is informed of the cancellation routine with a delete confirmation on the conclusion of the deletion of stored data. This ends the topic, one can search our website with the phrase Secure Cloud Computing in the search box for more articles on various topics on Security to ensure that you are at least having a security of minimum level. This Article Has Been Shared 3486 Times! Private Cloud Computing offers more flexibility than the Public Cloud. But if the traps are not known, private cloud computing give birth to problems. Private Cloud Computing becoming an indispensable Component of any sized Enterprise. Cloud Computing Expert has written a handy guide where and how to implement Private Cloud in your business. Step by Step Guide to Use Free Heroku Cloud assumes that the user has no idea about Cloud Server, Git but wants Heroku Cloud Server for Apps and website. Weaker Sides of Cloud Computing includes the areas which has not reached yet what it promises. In procedural and legal matters, it is still not matured. Secure connection to Cloud Infrastructure by using VPN Tunnel – on Secure Cloud Computing Guide, we pointed the importance of the connecting device. 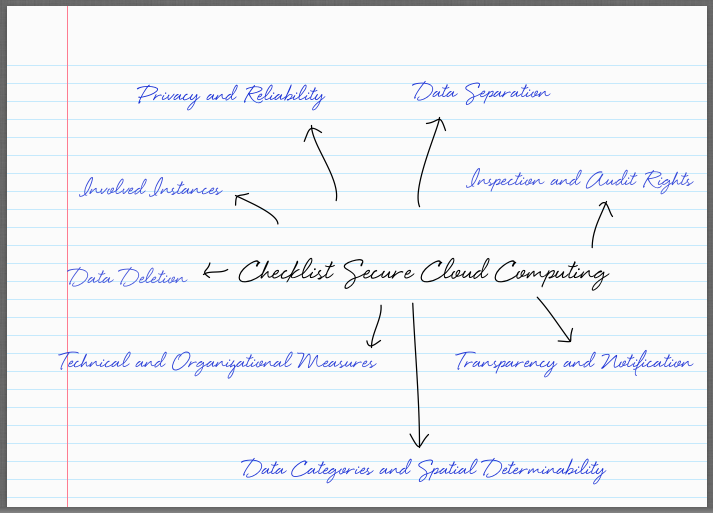 Cite this article as: Abhishek Ghosh, "Checklist Secure Cloud Computing : The Conclusion," in The Customize Windows, September 13, 2013, April 24, 2019, https://thecustomizewindows.com/2013/09/checklist-secure-cloud-computing-the-conclusion/.